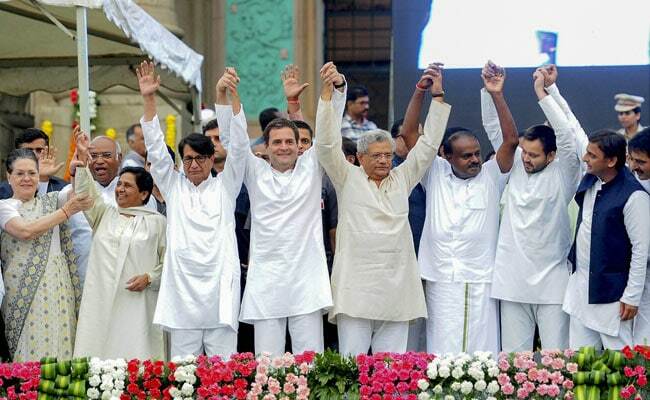 Opposition Parties Meet: This, significantly, comes a day before the results of the Madhya Pradesh, Chhattisgarh, Rajasthan, Telangana and Mizoram Assembly polls are scheduled to be announced and the winter session of Parliament to begin. Meeting aims to bring together opposition parties to take on the BJP. A meeting of opposition parties will be held in the national capital to discuss a grand alliance against the Bharatiya Janata Party (BJP) for the 2019 Lok Sabha election. The meeting is taking place a day before the results of the assembly polls in five states - Madhya Pradesh, Chhattisgarh, Rajasthan, Telangana and Mizoram - are declared. 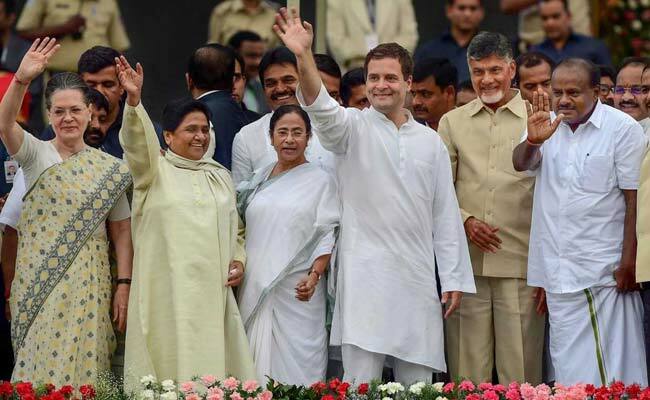 Congress President Rahul Gandhi, TMC chief Mamata Banerjee are the key leaders attending the meeting, which was called by Telugu Desam Party (TDP) chief and Andhra Pradesh Chief Minister N Chandrababu Naidu, who has taken on the challenging task of bringing non-BJP allies under a single umbrella ahead of the 2019 election. Aam Aadmi Party chief Arvind Kejriwal is expected to attend the gathering - his first participation in an opposition meet. 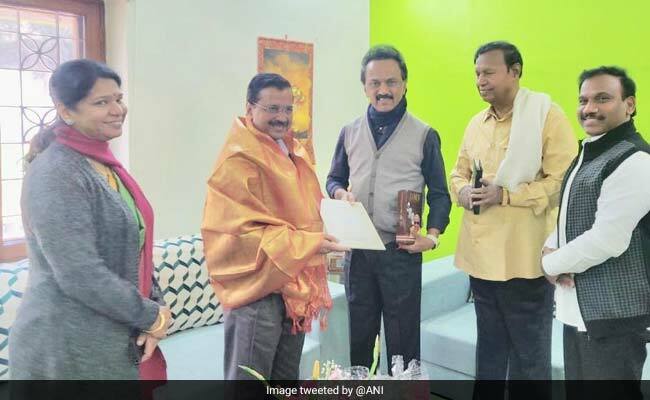 Arvind Kejriwal was urged today to drop his anti-Congress stance by Tamil Nadu politician MK Stalin, who met him after discussions with Rahul Gandhi last evening. DMK leader Stalin met with the Aam Aadmi Party (AAP) chief for 30 minutes. 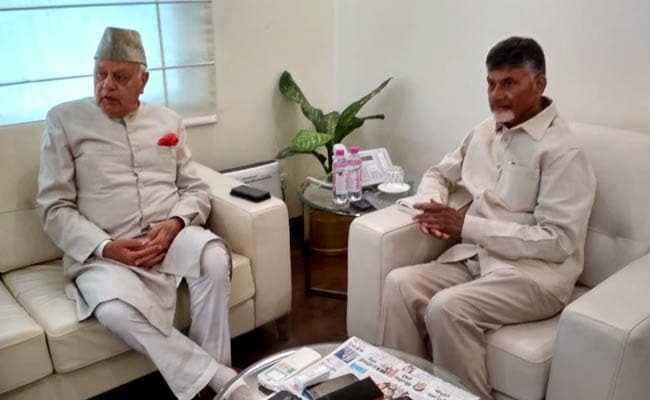 Chief Minister of Andhra Pradesh N Chandrababu Naidu met Farooq Abdullah at Andhra Pradesh Bhavan today. DMK President MK Stalin along with party leaders Kanimozhi, A Raja and TR Balu met Delhi Chief Minister Arvind Kejriwal in Delhi today. The DMK President also invited him for the inauguration ceremony of the statue of M Karunanidhi in Chennai. 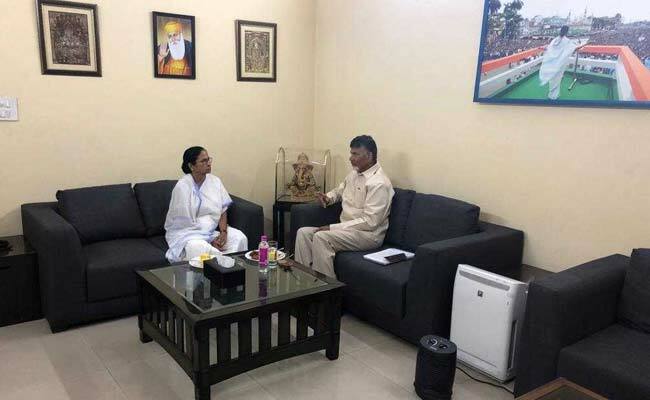 West Bengal Chief Minister Mamata Banerjee meets Andhra Pradesh Chief Minister N Chandrababu Naidu in Delhi. BJP national general secretary Kailash Vijayvargiya has mocked the scheduled meeting of opposition parties in New Delhi on Monday, and said they should first declare a prime ministerial candidate before thinking of removing the Narendra Modi government. Upendra Kushwaha, chief of the RLSP, an ally of the BJP in Bihar, has been upset over seat-sharing for the 2019 national polls. 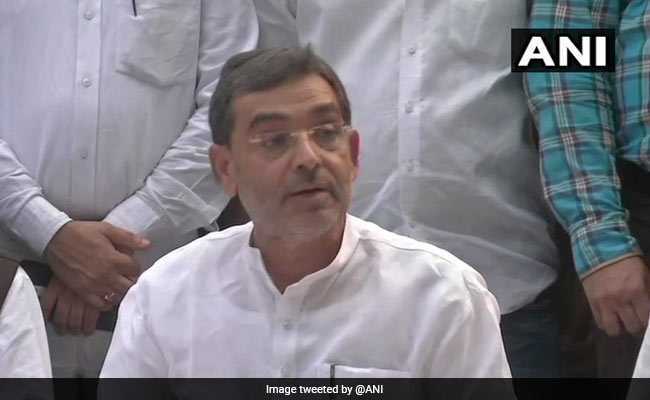 Prime Minister Narendra Modi's Bihar ally Upendra Kushwaha quit as union minister and exited the BJP-led National Democratic Alliance (NDA) today in a move that had been anticipated for months because of his growing resentment with another ally, Nitish Kumar, and his dominance in seat-share for the 2019 general election. Mr Kushwaha is also expected to join a big opposition meet to discuss a common strategy to fight the BJP next year. Rahul Gandhi, Mamata Banerjee, Arvind Kejriwal are to be present at the all part mean, sources said. Both the parties, the Bahujan Samaj Party(BSP) and the Aam Aadmi Party (AAP) have been unhappy with the Congress. The Aam Aadmi Party after the Congress failed to respond to its feelers for a tie-up for 2019. The opposition is holding a meeting to discuss a grand alliance for next year's national polls. The meeting has been called by Chandrababu Naidu. Mr Naidu has taken on the challenging task of bringing the disparate opposition parties under a single umbrella to take on the BJP in 2019. Mayawati, who has a large following among the Scheduled Castes -- especially in Uttar Pradesh, is likely to give the meeting a miss, sources said. Aam Aadmi Party chief Arvind Kejriwal, an absentee in all such gatherings, has however, agreed to attend, sources said.